A fantastically fun way to get kids to eat their sandwiches. Next, roll up the tortilla wrap nice and tight. Then cut the roll into about 7 or more slices. Place each roll onto a plate so it is standing up. 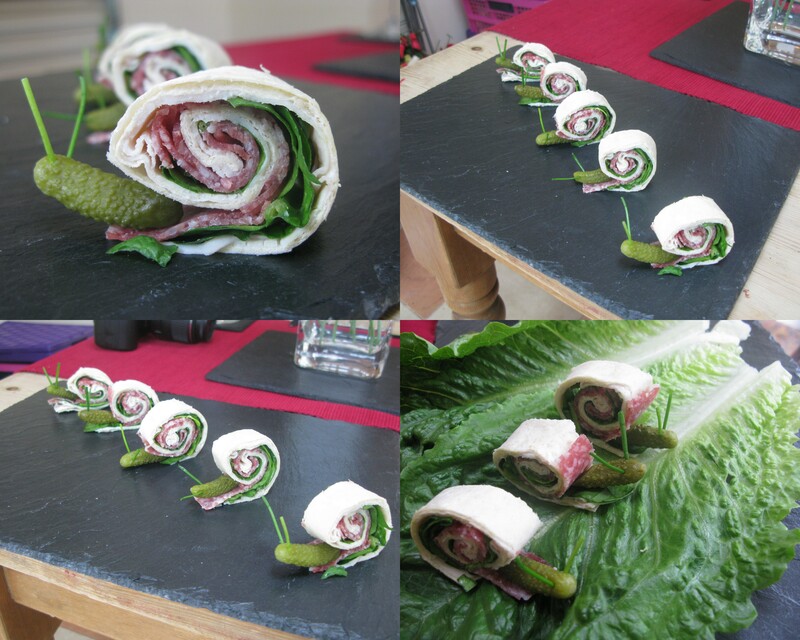 Next, slot the gherkin snail body just underneath each roll. The sliced end should fit snugly into each roll. You can use white bread instead of tortilla wraps for this. Just take the crusts off and then use a rolling pin to flatten the bread out a bit before starting.